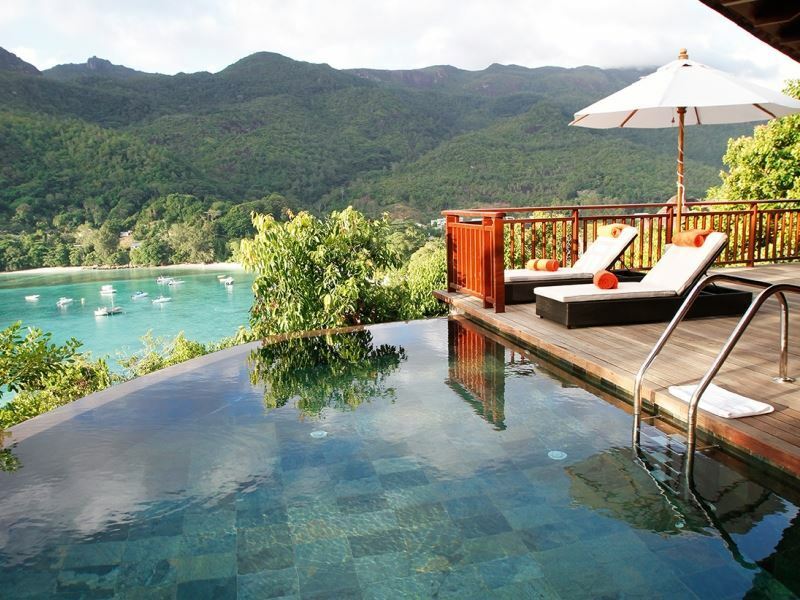 Cliché or not, the spellbinding Seychelles are as close to paradise as it gets. Trumping other tropical island escapes for their exquisite ribbons of sugar-white sands, turquoise-tinted waters, bountiful wildlife, surreal rock formations, and jungle-covered hills, this remote Indian Ocean archipelago of 115 islands is one of the best places on the planet to be loved up. We check out the very best hotels and resorts to get passionate about. The setting: For revving up the romance on Mahé’s north-western coast, this luxe five-star occupies prime position on Beau Vallon Bay. Set around a gorgeous lagoon-style pool and lined with landscaped gardens and shaded lounging areas, it’s only a short hop from the two-mile stretch of cashmere-soft sand and some of the archipelago’s best swimming waters. The sleep: The luxury-minded will sleep easy in any of the 160 contemporary-style guest rooms and suites, all of which have neutral colour schemes, comfy beds, lovely bathrooms with rain showers, and high-end fixtures and fittings. There’s also a flatscreen TV with satellite channels, well-stocked minibar, and private balcony for obligatory sea-gazing (some of the upper-level rooms also offer gasp-inspiring views over the mountainous peaks of Le Niol). The stay: Sporty duos will enjoy yoga and pilates classes, tennis, watersports, and personal training sessions, while spa lovers will adore couples’-only massages and other nose-to-tail pampering in the Savoy Spa. Elsewhere, you’re met with excellent food and drink options; most fabulously the buffet restaurant for global cuisine and Creole dishes, the fine dining spot for seafood specialties, and the ocean-facing pub for draft beers and exotic cocktails. 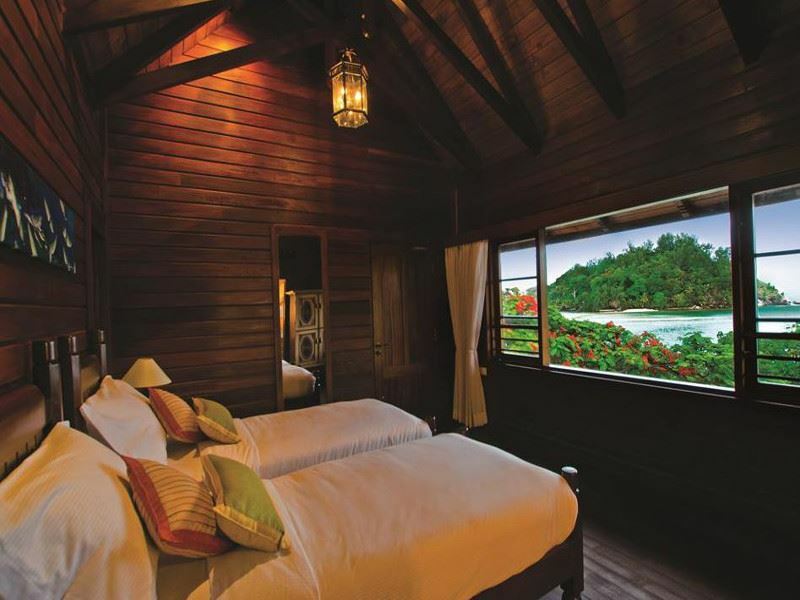 The setting: Fulfilling any castaway-island fantasy, this all-villa resort is pretty much the only thing you’ll find on Silhouette - the third largest of the Seychelles archipelago that lies 12 miles northwest of Mahé. Reached by helicopter or a 40-minute boat ride, you’re rewarded with heart-stirring views of coral barrier reefs, jungle-covered slopes, and pristine Indian Ocean beaches. The sleep: Pitched for dewy-eyed romantics who value their privacy, each of the 111 villas is spacious, stylish, and spoiling. All are finished to a high spec and come with island-chic décor, Creole-style roofs, terraces for all-day chilling, flatscreen TVs with DVD players, music systems, and separate living and sleeping areas. Mood-setting extras include bathrooms with walk-in double showers and oversized made-for-two bathtubs (some also have outdoor showers). The stay: For a place that feels so blissfully remote, there’s plenty to do; from guided nature tours through the jungle, to five-star PADI diving and paddle boarding. You’ll also find floodlit tennis courts, an outdoor pool, a state-of-the-art gym, and a deep just-for-couples treatment menu at the peaceful Eforea Spa. Equally worthy of your attention are the six intimate dining spots, the best of which serve Japanese fusion cuisine, Creole specialities, and fresh seafood. 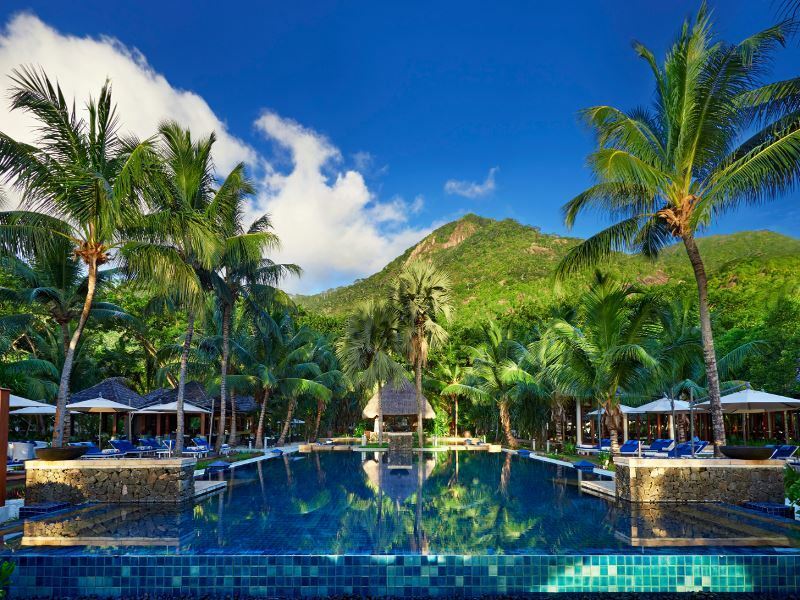 The setting: Just a 10-minute boat ride from Mahé, this all-inclusive five-star resort on the forested island of Sainte Anne comes with three idyllic beaches and a backdrop of colourful bougainvilleas, frangipane trees, hibiscuses, and palm trees. There’s also a huge marine park with snorkel-worthy Indian Ocean waters teeming with tropical fish. 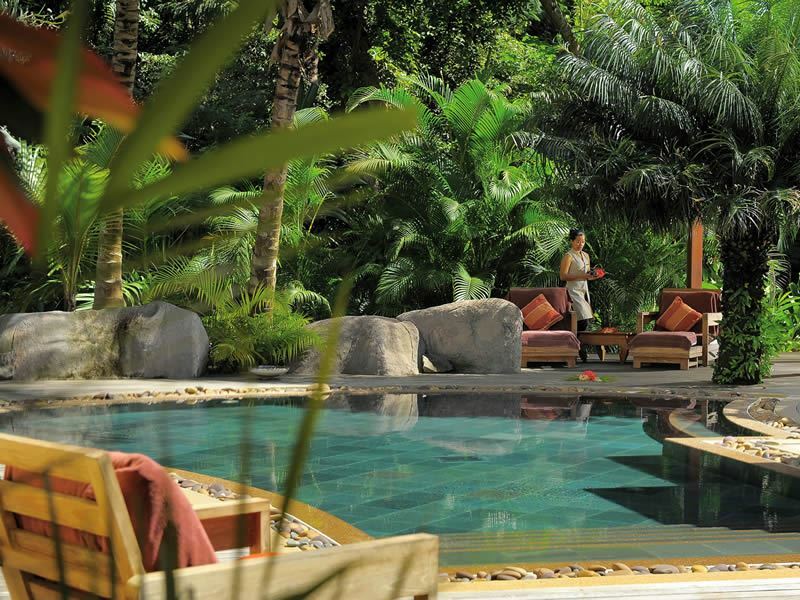 The sleep: For the romantically-inclined, the 87 villas tucked into palm-studded gardens (29 of which have private pools) are wonderfully private. Mixing functionality and fabulousness, all come with dreamy décor schemes, smooth wooden decks or large terraces, and bathrooms with bathrobes, slippers, and bathtubs (some have privacy-ensuring outdoor showers). Flatscreen TVs, well-stocked minibars, and Lavazza espresso machines complete the lovely touches. The stay: Given that there’s four excellent restaurants (three of which are on the beach) and a spirit-soothing spa that has couples’ massage cabins, a yoga room, and a beauty salon for feel-good Clarins treatments, it’s tempting to stay holed up here for the duration. Further thrills include a gym with power plates and weights, a sauna and hamman, a couple of bars for all-day cocktails, and a myriad of land sports including tennis, volleyball, bocciball, jogging, and cycling. 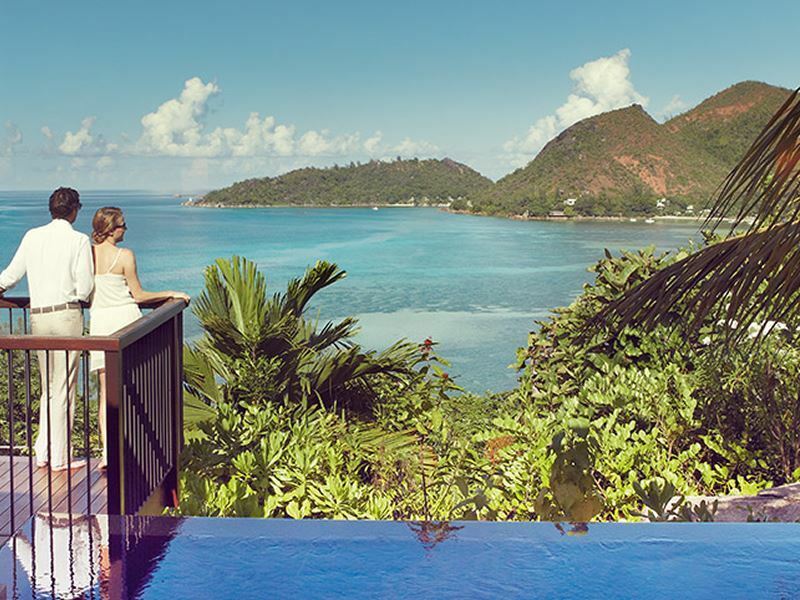 The setting: As the largest resort in the Seychelles, this sprawling five-star stunner overlooking the marine national park of Port Launay is spread across two beautiful beaches on Mahé’s western coast. Separated by mangrove forest and well-tended gardens, the accommodation is split between the north side and the south side (you’ll need buggies to travel between the two). The sleep: It’s mostly safari-style décor with lashings of browns, beiges, and whites in either the gorgeous suites with balconies or gardens - or the villas with private infinity pools. All accommodation features king-sized beds with high thread-count cottons, good-looking bathrooms with deep-soaking bathtubs and separate showers, and high-tech gadgetry galore (think iPod connection, DVD and CD player, Apple Mac mini, and free Wi-Fi). The stay: You and your loved one can choose from a slew of sports facilities: professional PADI dive centre, yoga pavilion, four tennis courts, non-motorised watersports, climbing wall, and even a zip wire. There’s also five resort restaurants, five bars, and four outdoor pools that are big enough for laps. For romantic downtime, the serene U Spa with its hydrotherapy pool, reflexology walkway, and finely-tuned couples’ treatments and therapies is an absolute must. 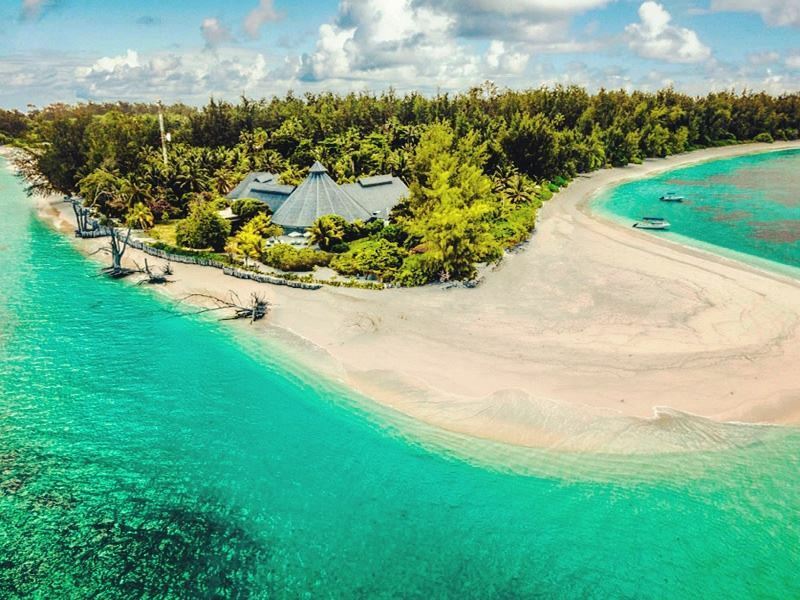 The setting: Appealing mostly to duos whose passion for each other is matched by their passion for the planet, this eco-friendly resort on Bird Island is just a 30-minute flight from Mahé. The winged residents obviously steal the show, but you’ll also find a coral-studded landscape, the purest of white sands, amazing marine life, and giant land tortoises (all of whom have names). The sleep: As you’d expect from such a green retreat, the vibe is blissfully basic and intimate in the 24 detached chalets. Expect comfy four-poster beds protected by mosquito nets, ceiling fans instead of air-con, shaded ocean-facing terraces, large showers, and a couple of day beds. There’s no Wi-Fi, TV and phone, but with so much to do here it’s hardly an issue. The stay: When you’re not busy bird-watching, fly-fishing, sea kayaking, dolphin-spotting, or staking out green and hawksbill turtles (season depending), while away the hours on the powder-soft sands of West Beach. When hunger calls, there’s a superb open-air buffet restaurant for Creole-style stews and curries, catch-of-the-day fish dishes, and organic home-grown fruit and veg. You’ll also find a relaxed lounge bar for afternoon teas and signature cocktails. 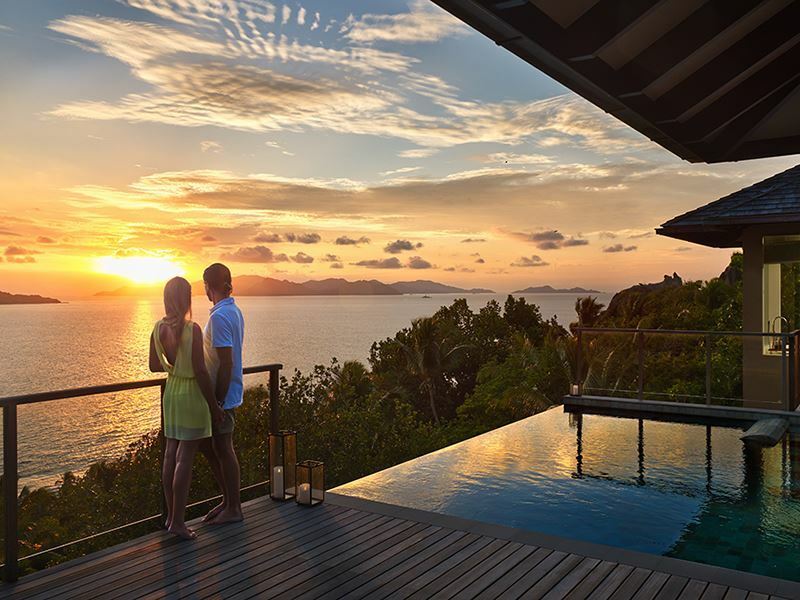 The setting: Reached only by a 15-minute helicopter ride or a short flight and boat transfer from nearby Praslin, this ridiculously romantic resort is on Félicité - the small inner Granitic island around two-and-a-half miles east of La Digue. 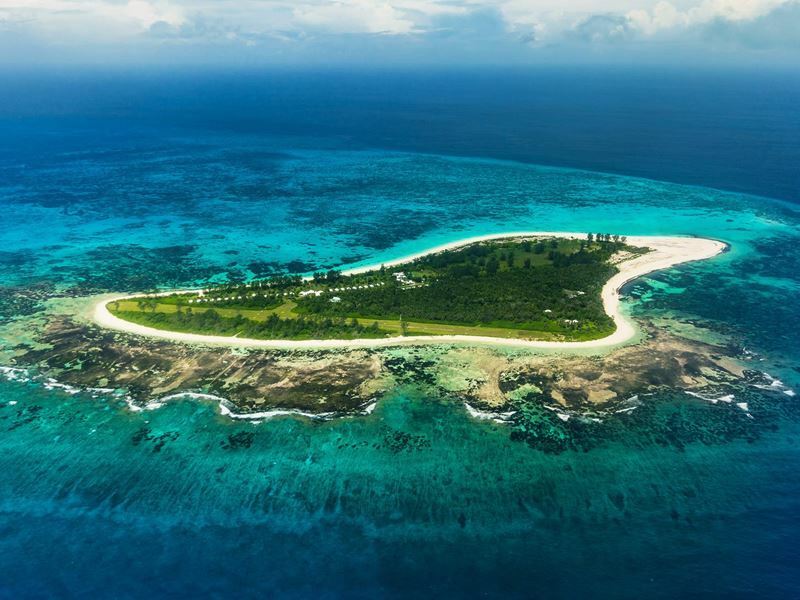 The location is perfect for island-hopping; not least because 10 other islands (including Curieuse, Cocos, and Marianne) are within easy reach. The sleep: All of the 30 pool villas are a lesson in attention to indulgent interiors; think dark and light woods, neutral palettes spiced up with bold colour accents, woven furnishings, and every mod-con you could possibly want (from Babyliss hairdryers to Marshall bluetooth speakers). Indian Ocean-facing terraces, beds with high-thread-count sheets, yoga mats, and bathrooms with rain showers, bathtubs, and Organic Pharmacy goodies top things off nicely. The stay: The incredible spa at the water’s edge is reason alone to stay here; think five double treatment villas, an elevated saltwater pool with sundeck, a yoga and meditation pavilion, and even personal wellness programs. There’s also several restaurants and bars, a pared-down room service menu available round-the-clock, three pristine sandy beaches, an honesty bar lined with rum barrels, a library, and an outdoor main pool (just in case you’re feeling sociable). The setting: You’re never far from the swirling talcum powder sands at this five-star resort in the north of Mahé Island. 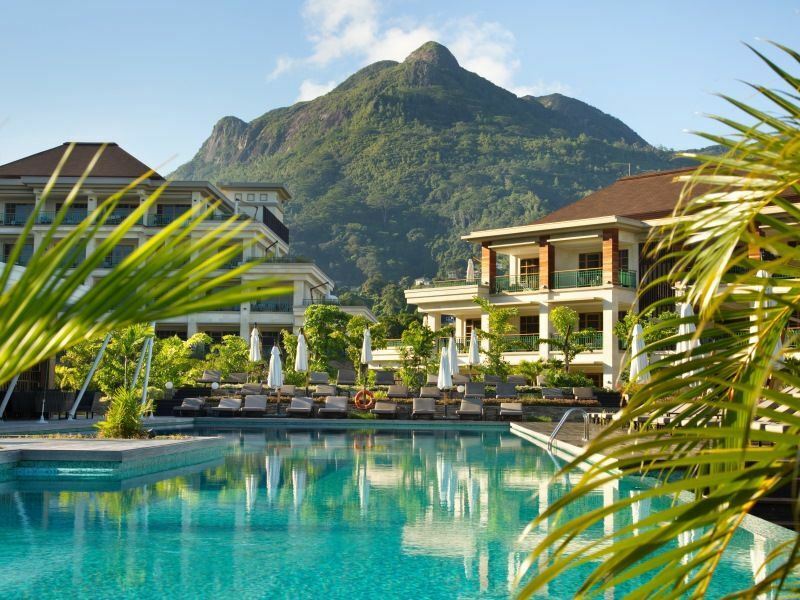 Not only will you steps from the strikingly beautiful Beau Vallon Bay, but you’ll also be within easy distance of Victoria - the Seychelles' tiny capital that’s worth a visit for its local markets, old colonial buildings, shopping plazas, and silver-painted replica of Big Ben. The sleep: There’s terraces with daybeds and dining areas in all of the 100 individually-designed villas and suites - each of which offers a real sense of sanctuary. Expect island-style décor with rich woods and stone flourishes, oversized bathrooms with separate walk-in rain showers (some have enormous freestanding tubs), large flatscreen TVs with satellite channels, and all mod cons. 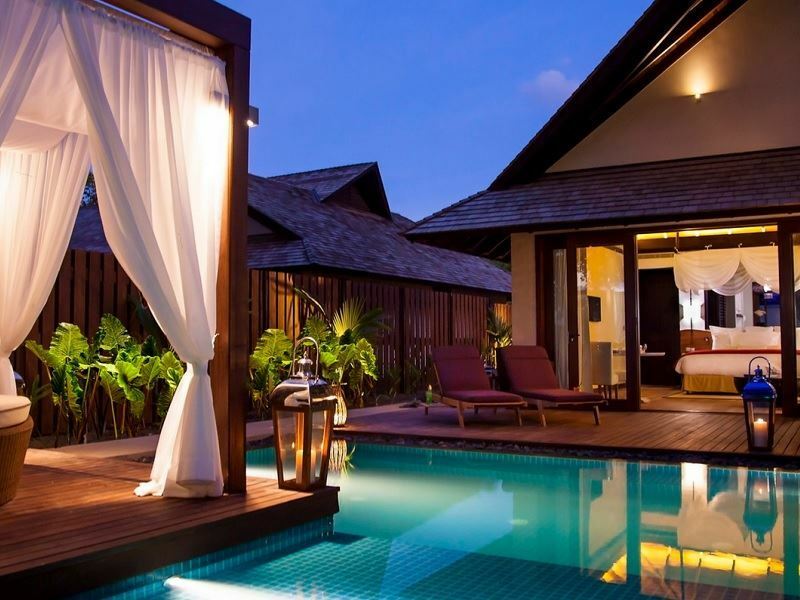 The more splurge-worthy villas come with outdoor showers, cabanas, and private pools. The stay: It doesn't get more sophisticated than the award-winning Sesel Spa - a Zen-like space with a Vichy Hydrotherapy room, seven treatment rooms (including two couples’ suites), and a huge choice of East-meets-West therapies. There’s also an enticing pool for cooling off on balmy days, seven dining spots for global cuisine, and a dawn-to-dusk activity schedule that includes yoga, watersports, tennis, snorkelling, island-hopping, and sunset cruises. The setting: Cleverly built into the hillside above Takamaka Bay on the north-east coast of Praslin, this sought-after resort is just a stone's throw from the narrow sands at Anse Takamak. You’ll also be within easy driving distance of the UNESCO-listed Vallée de Mai Nature Reserve - one of only two places in the world where the famed coco de mer palm grows in its natural state. The sleep: Loved-up duos will relish the jaw-dropping Indian Ocean vistas from the 86 plantation-style villas, all of which assure king-sized beds, outdoor pavilions, private plunge pools, and an above-average amount of living space. Expect sumptuous furnishings, indoor and outdoor showers, deep-soaking tubs next to picture windows, and a butler who is on-call day and night. Some also have shaded salas, barbecue areas, and separate dressing rooms. The stay: The fact that this place owns the biggest pool in the Indian Ocean is a huge draw. There’s also a private stretch of beach for daytime lounging, a relaxed bar for cocktails under the stars, and intimate restaurants for romantic dining. There’s also free-of-charge watersports, interesting island excursions, and an away-from-it-all spa with a sauna, steam room, soaking pool, and treatment pavilions overlooking the blue ocean and the dramatic granite boulders. 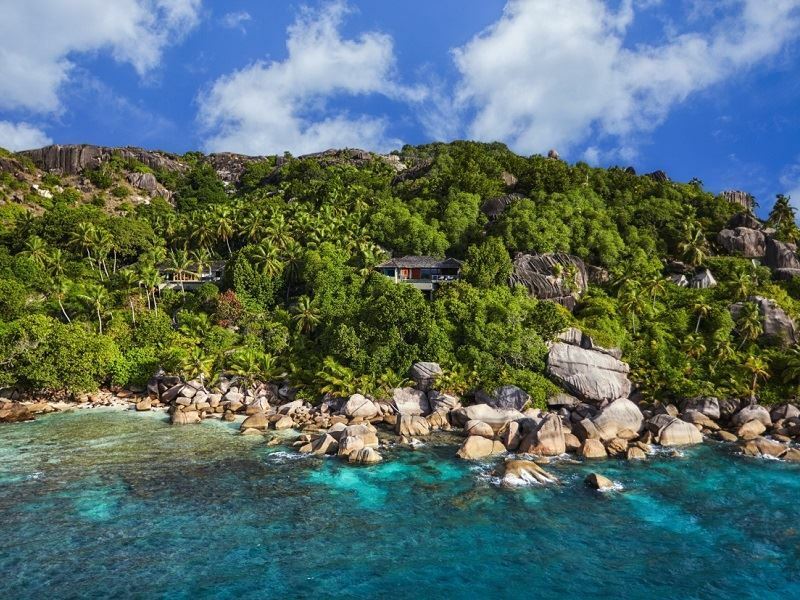 The setting: A winning combo of sugar-white sands, natural lagoons, and thick tropical forest sets the scene on the 275-acre Denis Island - the second most northerly island in the Seychelles (just a 30-minute flight from Mahé). With a real emphasis on sustainability, the whole place delivers an eco-friendly adventure as well a joyous insight into secluded island living. The sleep: What the 25 beach cottages lack in mod cons (there’s no mobile reception, satellite TV, digital distractions, or even room keys), they make up for with lovely private gardens with sea-facing decks, outdoor massage tables, and large indoor and outdoor bathrooms. You’ll also find a unique décor that incorporates hand-crafted furniture and wooden flooring, all of which is made at the island’s carpentry workshop just a few hundred metres away. The stay: There’s a real push on getting up-close with nature, so you’ll end up missing none of the usual amenities (who needs a pool when the Indian Ocean is just steps away). What makes this rustic-chic place so special are the island-style beauty treatments, the activities (jogging, canoeing, giant tortoise colony visits), and the home-grown offerings at the terrace restaurant (candle-lit beach dinners or dégustation dinners in the wine cellar can also be arranged). The setting: The clue’s in the title at this blissful boutique hideaway just a 10-minute speedboat ride from Mahé. Surrounded by the swoon-worthy turquoise seas of Sainte Anne National Marine Park, there’s little more to do here than relax, recharge, and reconnect with your other half. The sleep: There’s only 10 exclusive villas, all of which have an infinity pool, private deck area or garden, spacious living and sleeping areas, outdoor rain shower, and private walkway to the beach. You can also look forward to elegant Creole architecture, high-tech gadgetry (flatscreen TV with satellite channels, DVD player, iPod docking station, free Wi-Fi), and a four-poster king-size bed so unbelievably comfortable you may well struggle dragging yourselves out of it. The stay: It’s no surprise that somewhere so grown-up and gorgeous has top-tier facilities to match. There’s a restaurant for gourmet Creole-inspired cuisine, a bar for nightcaps under the stars, and a come-hither hilltop spa with private pavilions that instantly make you feel cocooned from the outside world. Luxe extras include a communal heated pool, free snorkelling and kayaks, and a fitness centre with cardio and weight-training equipment.